An "unimaginably wicked" former priest has been given a prison sentence of 21 years for sexually abusing boys in the West Midlands. 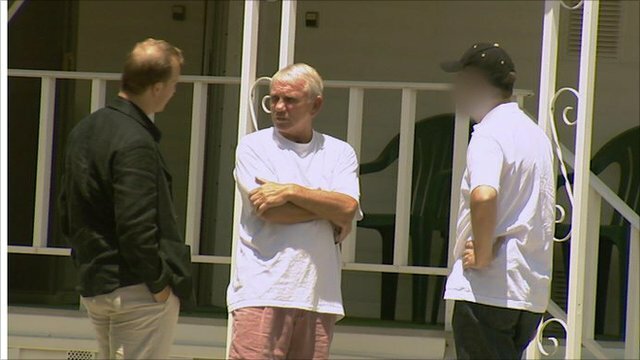 Richard John James Robinson, 73, was found guilty of 21 charges relating to offences against boys, all aged under 16, between 1959 and 1983. One victim told Birmingham Crown Court he had "carried" Mr Robinson's face with him ever since being assaulted. Robinson was extradited from the US in August last year. He had worked in churches in Staffordshire, Birmingham and Coventry until the mid-1980s, when he moved to California. Sentencing him, Judge Patrick Thomas QC said Robinson was "devious and manipulative". "The offences you committed were unimaginably wicked and caused immense and long-lasting - we can only hope not permanent - damage to the six victims. Judge Thomas said of Robinson's targeting of the boys: "You enjoyed doing your best to habituate them, to groom them into accepting what you did to them. "You were, and are, sufficiently devious, manipulative and bold to have got away with a highly risky sequence of sexual encounters over a period of 25 years." He also criticised Robinson for refusing to return to the UK to face his accusers, saying he believed he was beyond the reach of the law. The court had also heard Robinson was paid £800 a month by the Archdiocese of Birmingham until December 2001, after officials had been made aware of the allegations. Robinson had said in court he was unable to afford to return to Britain, even though the Church had sent him a cheque for £8,400. Judge Thomas said it was not for him to judge the Catholic Church's role in proceedings. "Others may take the view that a full investigation and full disclosure of the results of that investigation is due to the members of that church and Robinson's victims." The court heard prosecutor John Atwood say Robinson had "something of a knack for spotting the quiet child of the family". He told the court Robinson was sexually attracted to young boys and used the trust and respect that came with his position to prey on vulnerable children for his own sexual gratification. The court also heard he used his status as a priest to gain "unfettered and unlimited" access to boys, giving them gifts and taking them on trips in his sports car. Robinson did not face charges relating to two of the six victims who gave evidence, because they contacted the police after he was extradited. However, they were allowed to give evidence in support of the other four victims. The court heard Robinson's behaviour did not appear suspicious to his victims' families because "it was a different world back then". Robinson took the boys to football matches and rock concerts and some of them stayed overnight at the house he shared with his mother. Detective Sergeant Harry May: "Robinson has showed no sense of dignity or any remorse for his victims"
The prosecutor said the abuse had left some of the men emotionally damaged and needing counselling as adults. He said the boys did not speak out at the time because they were bewildered, ashamed and felt they would not be believed. Charges against Robinson included serious sexual assault, indecent assault and indecency against a child. 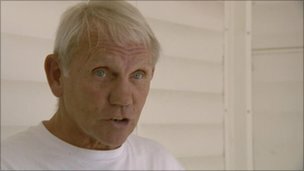 BBC journalist Paul Kenyon tracked Robinson down in the US and confronted him about the allegations for a documentary in 2003. Speaking after the case, Det Ch Insp Steve Bimson said the sentence reflected the serious nature of the offences. "For each of his victims, Robinson engaged in a course of behaviour that we would recognise today as a grooming process. "He would become a trusted friend of the family able to mix freely in the family home, becoming liked and admired by the victims' parents, before engaging the victim in his sexual activity." 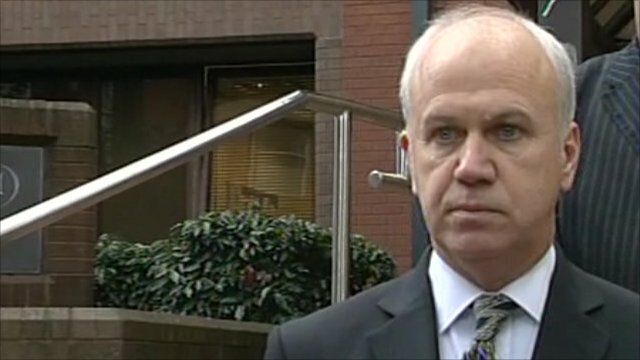 The Archdiocese of Birmingham said in a statement it sincerely regretted James Robinson's "serious betrayal of the trust placed in him". The Archbishop of Birmingham, the Most Reverend Bernard Longley, said: "We hope that today's outcome will enable the victims and their families to bring the process of healing and ultimately bring some peace of mind." He said the archdiocese had co-operated with police throughout the inquiry and had "robust safeguarding policies" as part of its commitment to the safety and protection of children and vulnerable people.